Give the Gift That Keeps on Giving – Rest • Run Hard. Rest Well. This Christmas, think outside the box and give the gift of rest. Do you love someone who is winded? Weary? Your sister, pastor, mail-carrier, neighbor, son, co-worker? What about a dear friend? Give them a gift they won’t forget: an evening, an afternoon, or a day – free of demands – to recharge. Finding a place for them to go? Providing childcare or elder-care support? Gifting them with funds for a special treat or experience. Consider offering them a shot of encouragement to embrace your gift full-tilt, with no guilt. Vantage Point: A New View of Rest, Rhythm, and the Work of God provides the invitation, the permission, and scores of practical insights to combat the relentless and ruthless nature of exhaustion. Vantage Point (some call it our best kept secret) equips its readers to explore and embrace a new pace of living in 24 short, compelling, real-life chapters. Through it, 2,000 people are learning to say good-bye to overload and hello to vibrancy, transformation, and sanity! Do you have a friend or two who could use an encouraging word? Consider buying Vantage Point and give it as a stand-alone gift, or package it with tea, chocolate, a coupon for free babysitting, or a gift certificate for a massage. Your purchase will be a GIFT to a friend, but it will also be a GIFT to Run Hard. Rest Well. As a fledgeling nonprofit ministry – vision and impact are high. Funding support is low. Each blog posts serves 1,300 people from around the world. If every person bought one book, this delightful crew could gift Run Hard. Rest Well. with $7,215 to meet our end-of-the-year budget needs. But, you know our hearts. Our greatest joy is the spark of hope and help you will give a weary friend. 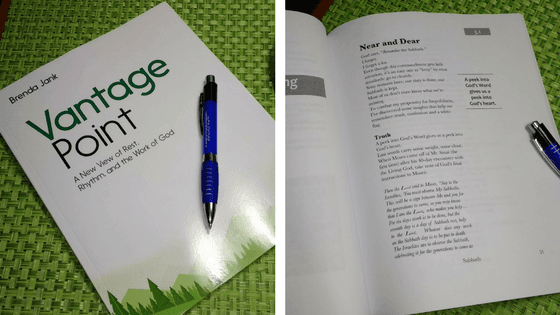 If you think Vantage Point would be a blessing, there are two ways to purchase the book. Vantage Point is available on Amazon for $12.99. If you have Prime, shipping is free. If you use this Amazon link, RHRW will receive a small percentage back on your purchase. It’s a double blessing. For larger orders (5+), books can be purchased for $10.99, plus shipping, but it will take 3 weeks for the books to arrive. To order books in this manner, please send a note to RHRWteam@gmail.com. Include your name, contact information, and how many books you would like to order. We will invoice you, and you can pop a check in the mail. Vantage Point is set up for individual and small group use. Would your small group like to begin an expedition of a life-time? Vantage Point is altering the trajectory of people’s lives all over the country. Check out the testimonies below.